John operated in partnership with Mr Pardoe for a relatively short time. He observed a high demand for bricks and sold his share of the Main Street pottery to Mr Pardoe to pursue brickmaking in partnership at the Lynch Brothers who had discovered good clay deposits on their land at North Motton. By 1893 the Main Street site was occupied by Mr. Pardoe and was at that time called Pardoe Pottery. However Mr Pardoe died the following year and a Mr. James Bell took over the site and within a few years operations were discontinued. Mr. John McHugh of the Leven Pottery Works is about starting a brick-making establishment on an extensive scale, and contractors and builders have promised their support. 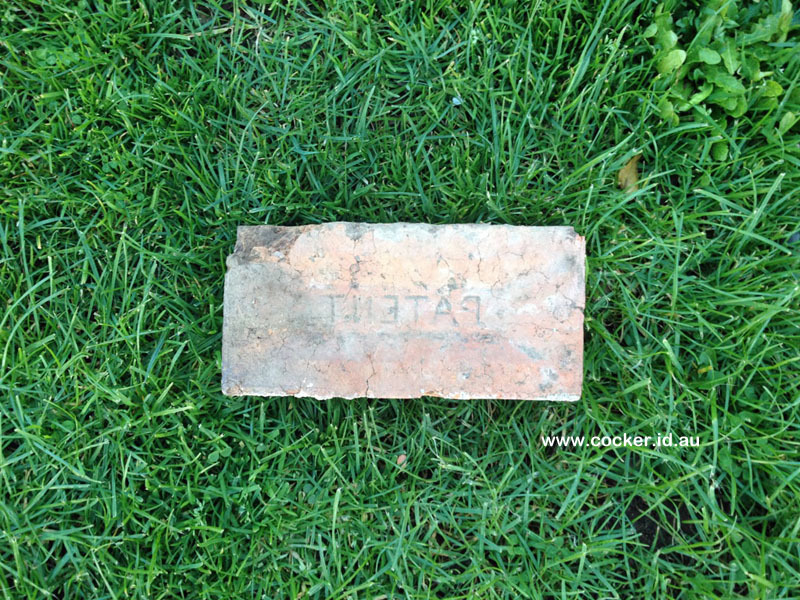 A brickyard is to be opened by Mr. F. Lynch on his property at the Gawler, where there is some very suitable clay. We often hear of the rich agricultural and occasionally of possible mineral resources of the Leven, but it does not seem to be generally known that we have promising manufacturers among us, on a somewhat small scale at present, but capable of considerable extension. Mr. McHugh has established a pottery for some time past, near the Castra turn off, where he produces articles equal to any imported, and at a reasonable price, and now, I believe, is about extending his business by working a vein of clay on Messrs. Lynch’s land at the Gawler, suitable for pottery, bricks, firebricks, etc. They are about building a furnace on the ground, when they will be able to carry on operations on a grand scale. Certificate of Title 8/5309 dated 5 Nov 1890 records the sale by Bernard Lynch of Ulverstone, brickmaker, to John McHugh of Ulverstone, brickmaker on 31 Oct 1890 of one acre of land for £10. All the piece of land situate in the Parish of Abbotsham aforesaid containing one acre and bounded on South West by two chains South Easterly along a row one chain wide commencing at a point distant five chains twenty links South Easterly from the southern boundary of land granted by the Crown to James Elliott. On the South East by five chains North Easterly along other part of the land described in the said recited letters Patent. On the North East by two chains North Westerly also along the last mentioned land to the point of commencement as the said piece of land is delineated in the plan drawn on the third page of the now memorializing indenture and there surrounded with red boundary lines. 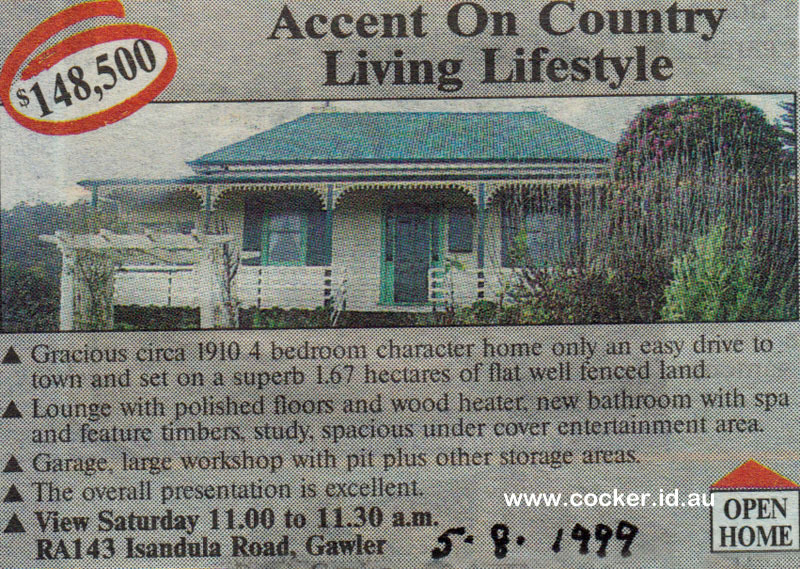 This is the property known today as 153 Isandula Road, Gawler and it was on this land that John McHugh built a fine house for his growing family from his own bricks. 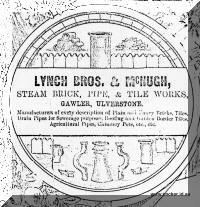 By 1890 John McHugh was in partnership with the Lynch Brothers. The two photos to the right were taken about 2003. 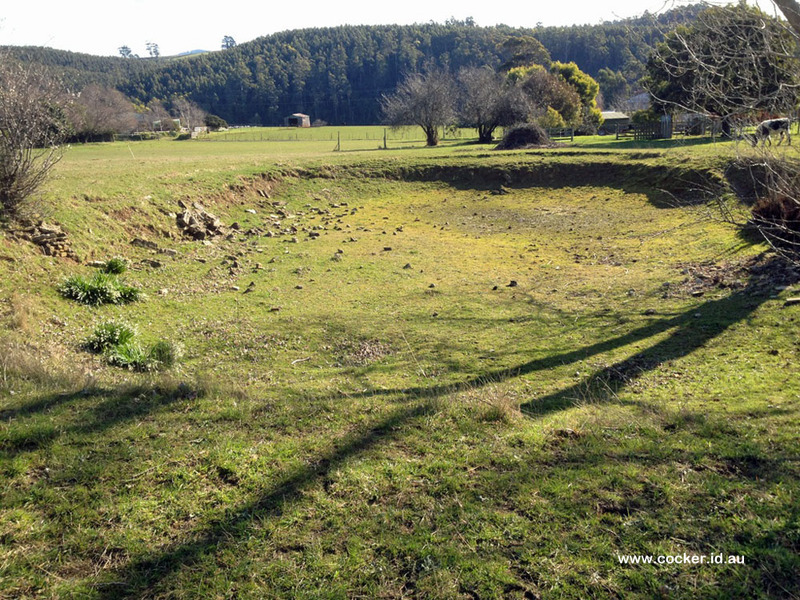 The outline of the now filled in clay pit can still be clearly seen today. It was originaly several metres deep. 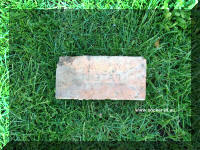 It is followed by a genuine Lynch Bros/McHugh brick. The letters Patent were actually imprinted in reverse. The Lynch family home, adjacent to 153 Isundula Road, was named Cashel House by Maria Lynch (nee Currie) who came from Cashel in Tipperary, Ireland. It was also built from bricks from Lynch McHugh bricks. 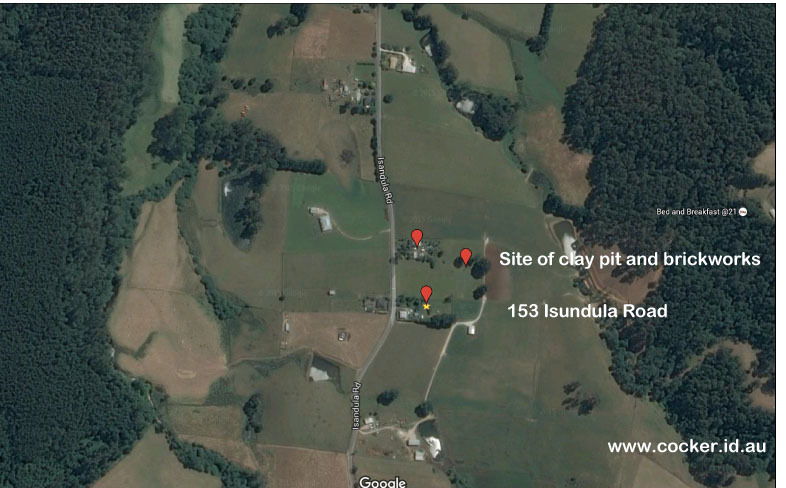 The original clay pit and brick works were behind the house. 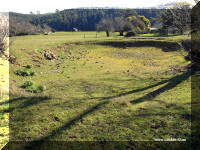 Although largely filled in, the enormous pit is still clear visible and about 3 metres deep. Lynch Bros. & McHugh have received a patent semi-dry brick press, can produce 8-10,000 bricks per day, should be working in a weeks time. 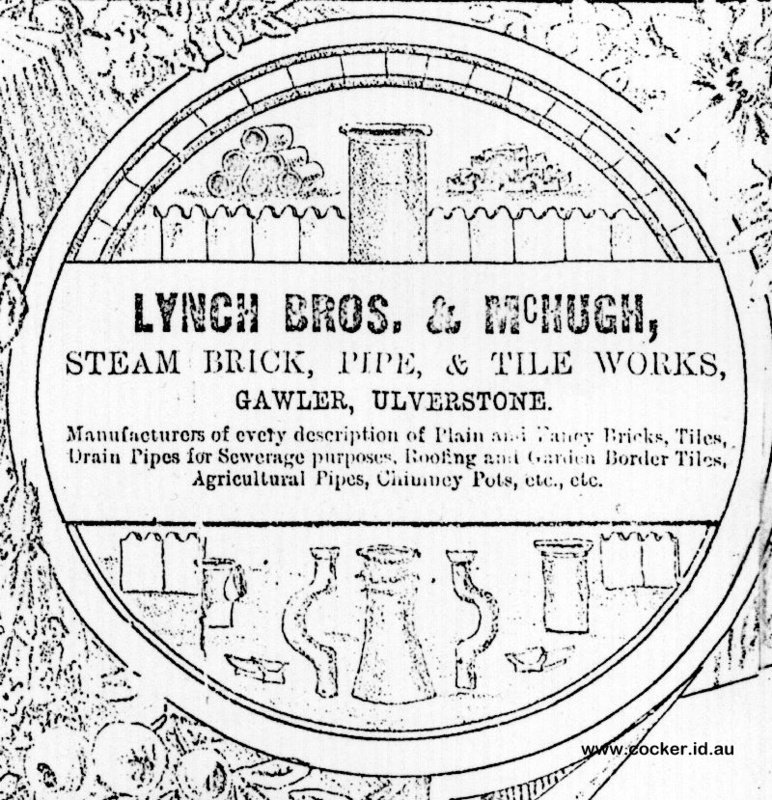 Advertisements of the period read Lynch Bros. & McHugh. Lynch Bros. & McHugh have received a patent semi-dry brick press, can produce 8-10,000 bricks per day... should be working in a weeks time. Unfortunately several poor seasons then depressed the local economy and demand for bricks dropped and they decided to that manufacturing pipes would be more profitable than bricks. It is also understood that the bricks were not of a high standard and were a little too soft. The brickwork of most of the known remaining buildings has been painted to provide additional protection from the elements. 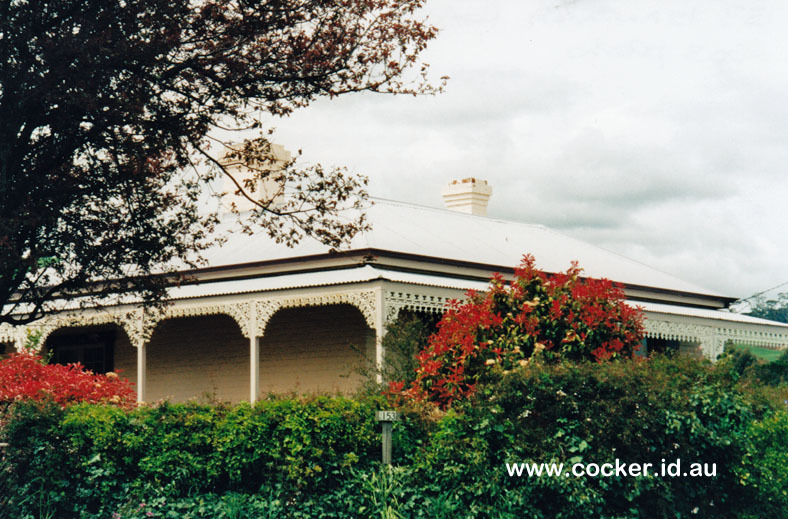 On 14 Feb 1891 John borrowed £240 from the Bank of Australasia, secured by a mortgage over the Gawler property. When I came to the Lower Gawler turn off I decided to go and have a look at Messrs. Lynch Bros. and McHugh’s brick, pipe , and tile making establishment, especially as I understand that the firm have commenced the manufacture of drainpipes lately. Near the junction of the road I pass Mr. F.A. Lynch’s place, he is like many more of our settlers, …. The metalled road ceases shortly after leaving Mr. Bishop’s the character of the land changes also, being a white clay, being the raw material of which the brick and tiles are made at the factory close by. Mr. McHugh has a substantial looking brick cottage which shows that he, at any rate has confidence in his own products. He comes from a family well known in the potter business, as his father made pottery at North Motton many years ago, and his brother runs a large pottery in Launceston at the present time. The two other members of the firm of Lynch Bros. and McHugh – Messrs. F.A. 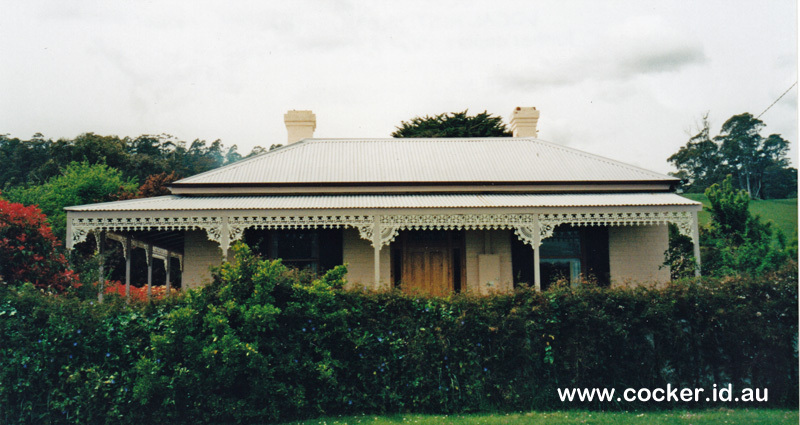 and B. Lynch are natives of Launceston, but have been on the Coast since child-hood, Mr. B. Lynch being but two years old when his father took part of the farm now occupied by Mr. G.C. Brandon on the banks of the Leven. Mr. Lynch sen. afterwards selected the farm whereon the manufactory now stands. The Messrs. Lynch confined their attention to farming until about two years ago, when Mr. McHugh having started a pottery at Ulverstone, and used some of the clay from the land, and as there appeared to be a great demand for bricks just then, Mr. McHugh sold out his share in the potter to his partner, Mr. Pardoe, and entered into partnership with Messrs. F.A. and B. Lynch. The firm started brick and tile making but had an uphill fight, as, season after season crops proved bad, with other circumstances arising to deepen the general depression, as a natural consequence building ceased to a great extent and equally of course the demand for bricks also. Fortunately the firm have hitherto managed to get rid of all the bricks that they have had on hand, but they now see, that it would be more remunerative had they started the manufacture of pipes first. However, they have now got their pipe making machinery into working order, and they can compete , they say, with the Launceston prices, and as far as one can judge from the article they turnout before it is burned, it should be a first class one, therefore it is to be hoped that the broad path of prosperity straight lies straight before them. Further reference to description of the machinery………………….